‘Deadline’; a word that can send a chill up the spine of even the most battle-hardened professional. We all see them creeping forever closer, mercilessly devouring days like a stressed designer with an open packet of FruChocs. Unfortunately, hard and fast deadlines are a necessary evil for design studios. Whether they’re actionable in proposals and concepts, or throughout production and roll-out, we need to stay vigilant. Equally, there are few better feelings than when a major deadline is successfully delivered. Clients also love seeing the progression of their project, as milestones and deliverables are ticked off their checklists. However, it’s easy to forget that most deadlines are a two-way street. 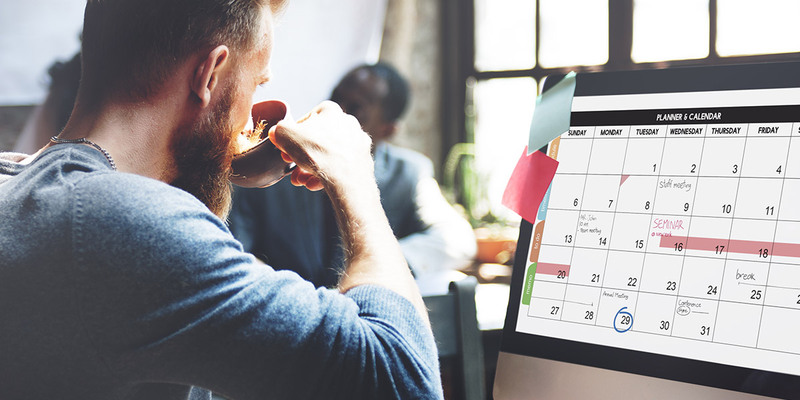 Setting firm dates for client feedback, content delivery and any additional external involvement is critical in keeping projects moving and sign-off dates on track. By specifying deadlines, all stakeholders are aware of how much time they have to review and report their considerations. If one or several milestones are missed, ignored, or delayed, this setback typically has a counterproductive flow-on effect throughout the rest of the project. Creating memorable brands is a partnership. Setting clear expectations, for all sides, establishes a foundation for that partnership. Setting realistic expectations for your time, and that of the design team, ensures that all business and brand directions are taken into consideration. It also means your designers and developers don’t have to pull all-nighters to complete milestones. Let’s face it, nobody does their best work at 3 in the morning after several pots of coffee. In summary, setting fixed deadlines at the beginning of the project gives both the client and the design team the opportunity to organise their resources and collaborations. This schedule acts as a guide to ensure all parties have enough time to meet the parameters of the job. Ultimately, sticking to deadlines reduces stress, improves quality and dramatically extends the life of that packet of FruChocs.